ON SALE NOW!!! SAVE $3,000.00 Was $76,995 NOW ONLY $73,995!!! 2017 Thor Ace 30.4 in perfect condition! 9215 Miles! This beautiful motorhome is built on a Ford Chassis and powered by a Ford Triton V10 and the Onan 5500kw generator. Outside there are plenty of storage bays and an outside entertainment center with a flat screen TV. 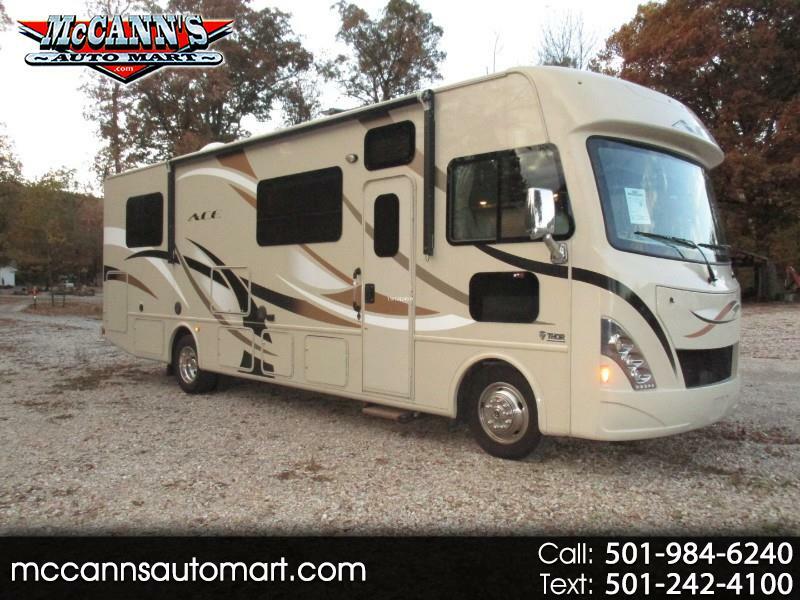 This motorhome has one large slide, giving you plenty of room for all the extras inside! Inside, there are leather captains seats for driver and passenger, and an over the cab automatic bunk for sleeping. The living area has a leather sofa-bed, booth dinette, and a flat screen TV. The kitchen is fully equipped with a stove, oven, microwave, refrigerator and a pull out storage pantry. The rear bedroom feels spacious and has a queen bed, closet and drawer storage and a flat screen TV. The bathroom has a sink with vanity, tall shower stall, toilet and more closet storage. Message: Thought you might be interested in this 2017 Thor Motor Coach A.C.E..